You may be tempted to ask whether the Union Ministry of Human Resource Development takes all the letters it receives as seriously as it took the one castigating the Ambedkar-Periyar Study Circle (APSC), a student’s organization active in IIT Madras. 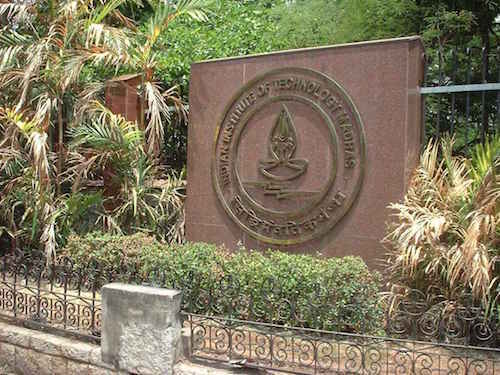 The IIT administration wasted no time in banning the group. The fact is that in the BJP-led government, the HRD ministry is not only holding the flag of Hindutva aloft but also wants to be seen doing so. And terms like scientific temper and human rights are alien to it. The APSC is an independent group of students that, besides publicizing the ideology of Ambedkar and Periyar, has also been organizing discussions on various economic and sociopolitical issues. What led to the founding of the circle last year is something serious and compelling. In IIT Madras, Hindutva is being propagated by Vivekananda Study Circle and through the RSS shakhas that are held here. The government had no problems with these outfits and their activities but the activities of the APSC raised its hackles. On 22 May, the dean for students’ welfare banned the study circle, citing a letter from an undersecretary-level officer of the HRD ministry. On the basis of an anonymous letter it had received, the ministry had sought an explanation from the director of the institute regarding posters and pamphlets issued by the APSC. These posters and pamphlets, the ministry said, were spreading “hatred” on the campus. It doesn’t need much guesswork to identify the target of the “hate campaign”. The issue snowballed into a major controversy, with many students’ organizations coming out in support of the study circle. Protests were held all over the country. In June 2014, the director of the institute had asked the study circle to drop the words Ambedkar and Periyar from its name. The reason given was that these words were political. When asked about the Vivekananda Study Circle, the dean said that this name had been in use for a long time. In September 2014, the dean sought to know from the APSC why it was trying to “unite” students. A series of events that followed resulted in the dean derecognizing APSC for misusing the facilities given to it. A letter from HRD ministry was made the basis for the action. Dalit, Tribal and Bahujan groups have started challenging the brahmanical ideology. A re-rendition of history, an attempt to identify their own symbols and a critical attitude – all are components of this challenge. The battle has arrived at the door of the fortress of conservatism. That is the reason behind inhuman incidents like those witnessed in Bathani Tola, Ahmed Nagar, Nagaud, Jhajjhar and Mirchpur. 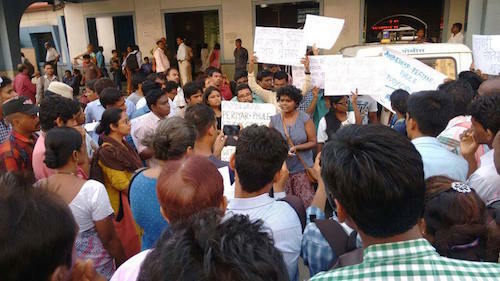 The decision of the IIT Madras, taken under pressure from the Union HRD ministry, shows that the ministry is brahmanical and wants to stave off the pressure being built due to the rising awareness among Dalits, Tribals and Bahujans. In October 2014, A.K. Singh, an undersecretary in the ministry, had forwarded another strange letter with a covering note to all IITs and sought an explanation. A gentleman from Madhya Pradesh had written the letter, expressing concern over the non-vegetarian food being served in the messes of IIT hostels as that was encouraging “tamasic” tendencies (negative traits such as pessimism and laziness) among the students, besides drawing vegetarian students towards non-vegetarian food. It is clear that IITs are the target of the traditionalists and conservatives. The Ambedkar-Periyar Study Circle was banned as it had opposed the unscientific views and orders and the anti-people policies of the Modi government. The Ambedkar-Periyar study circle ultimately won the battle and the ban on it has been lifted. Moreover, similar organizations are being formed in other universities. Clearly, the doors to a meaningful debate are opening.